These are two of the other three pieces I completed this Spring. The first SurvivorBot was a piece I donated to the annual Breast Cancer Benefit show that the NEO Rollergirls www.neorocknrollergirls.com take part in every year. I was contacted by Vanity Scare to paint her bust for the show. Below is what I came up with. 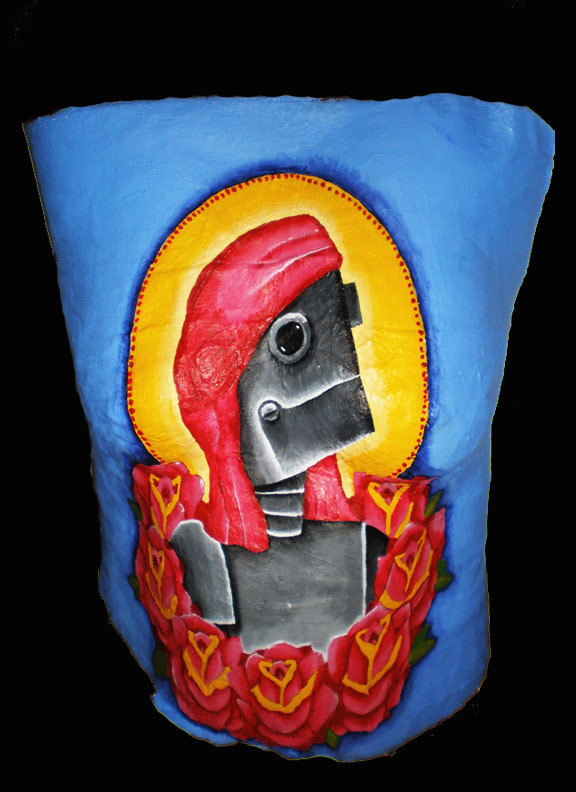 This piece is dubbed "SurvivorBot" and is a piece dedicated to cancer survivors who are in the midst of recovering. 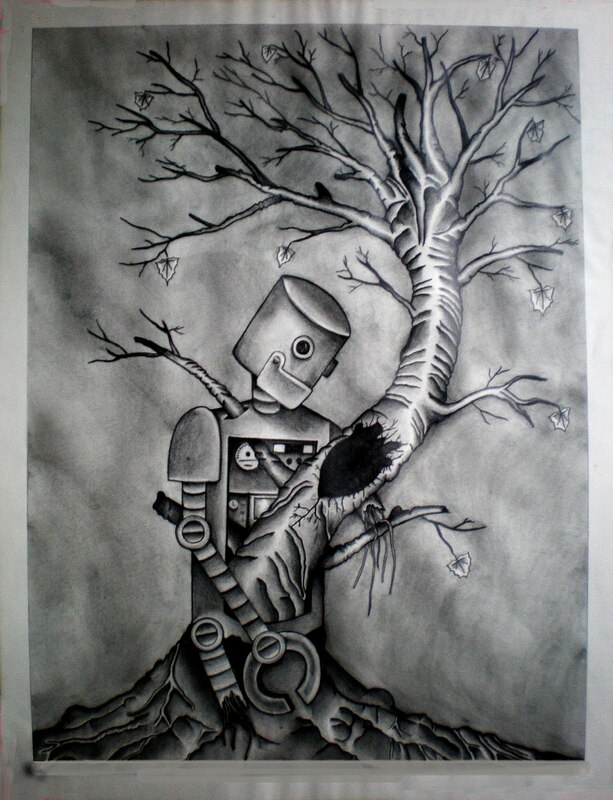 The second piece "But By Then It Was to Late to Walk Away" is about become so rooted and trapped in a sitution that you can't leave. Sometimes you wait and think so long about something, that it eventual pins you down to the point that you can't move. This piece as well as "When It's Your Time, It's Your Time" are a bit wrinkled due to humidity issues in a gallery I was showing in. I have steamed some of the wrinkles out but they are not quite 100 percent. They are not as wrinkly in person as the pictures depict them to be thankfully.